The U.S. Mint has sold a record number of silver coins this year as demand for the physical metal helped futures in New York recover more than 20 percent since falling to a five-year low early this month. 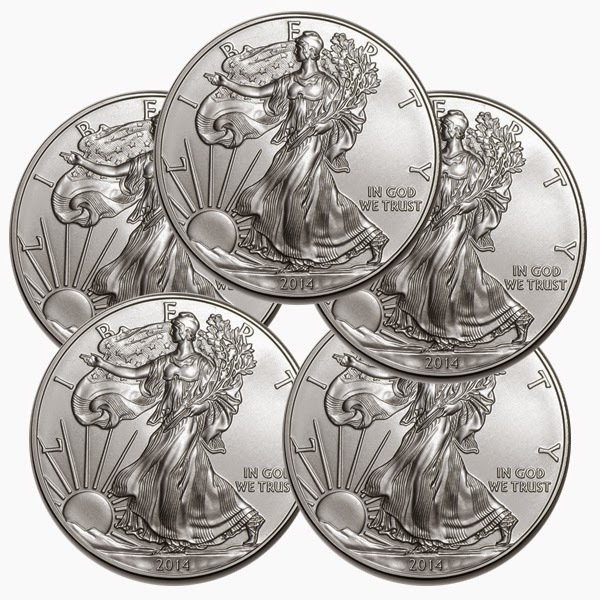 Purchases of American Eagle silver coins reached 43.051 million ounces in 2014, data on the mint’s website shows. That tops last year’s 42.7 million ounces, the previous all-time high, according to an e-mailed statement yesterday. There are still enough supplies to keep selling 2014-dated coins through the week starting Dec. 15, the mint estimates. A surge in demand prompted the mint to suspend sales in November for more than a week because of a lack of inventory. When the coins were again made available for purchase, it was on allocated basis. Buying has increased with prices heading for a second straight annual loss, the longest slump since 1992. Silver futures for March delivery jumped 5.3 percent to $17.134 an ounce on the Comex yesterday, the biggest gain since Dec. 1. Prices declined 12 percent this year through yesterday, after dropping 36 percent in 2013. On Dec. 1, the metal reached $14.155, the lowest since 2009.